Suitable for absolute beginners, this book contains colour illustrations. It is useful for very young children and it aims to encourage security at every step. 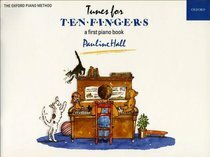 About "The Oxford Piano Method: Tunes For Ten Fingers"